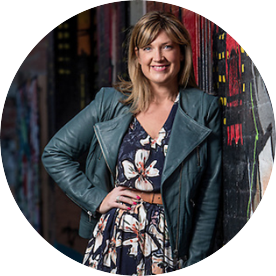 I’m always on the look out for great places to eat in and around Melbourne. And eating out for breakfast/brunch, is one of my all time favourite things to do – all in the name of research, of course. Over the last couple of months, I’ve had the great gastronomic pleasure of dining at some rather fabulous spots and in today’s post, I’m sharing some of my favourites. 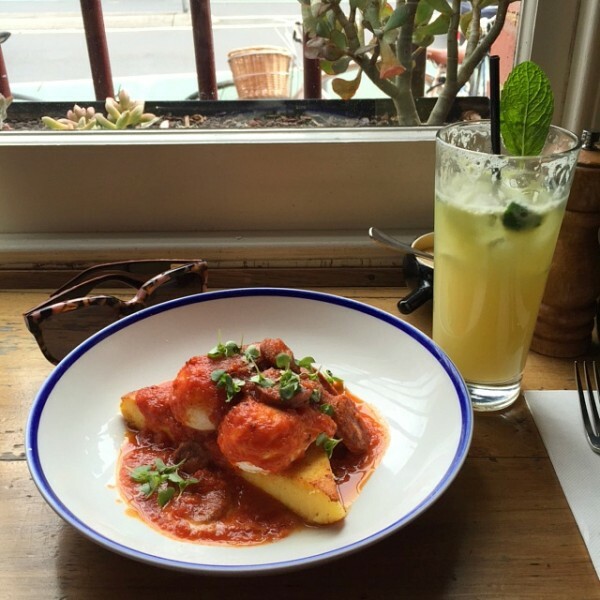 Have you been somewhere fab for brunch lately? I’d love to hear all about it in the comments below. Hammer & Tong 412 is one of those super cool places you want to take all your friends too. 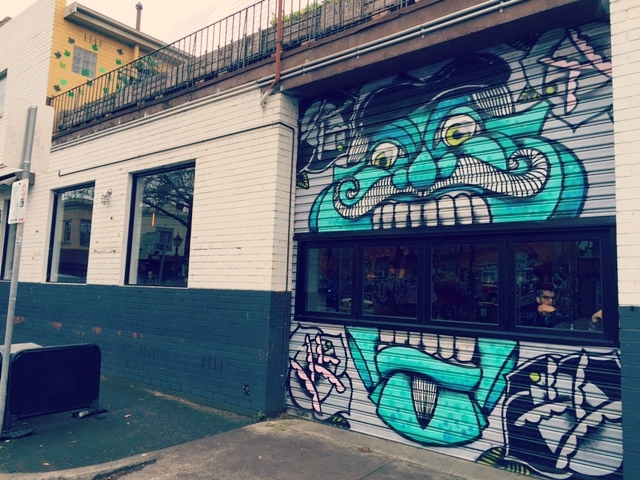 Located just off Brunswick St in Fitzroy, this place is always bustling and rightly so. In this relaxed but cool space (with a dining room, corridor and sun room), you’ll find excellent coffee, friendly service and some seriously interesting dishes. 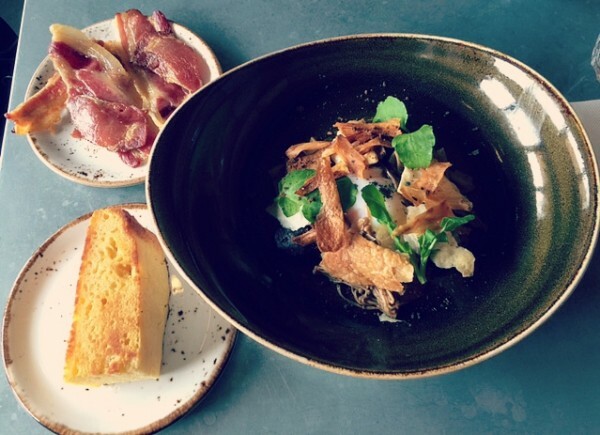 Last time I visited I sat in the corridor and ordered the braised mushrooms, 62C hen’s egg, coffee crumb and parsnip with cornbread ($18.50). I ordered a side of delicious Istra bacon to cover all the food brunch groups. The flavours of the dish were sophisticated and satisfying. Next time, if I’m craving a sweet dish and feeling nostalgic, I’ll order the Pollywaffle which consists of a buttermilk waffle, nutella, wafer and vanilla marshmallow. I generally head here mid week when I can find a table easily. I love sitting in the sunny sunroom too where you can sit at the communal table or the high bench if you like a side of people watching with your brunch. Weekends are busy though and they don’t take bookings, so you may need to wait. It’s possibly not the most family friendly place on busy weekends, but it’s a great place for meeting a friend or taking one of the kids for a date. Green Park Dining (formerly St Ali), can be a bit tricky to find. It’s situated behind a cycle shop at 815 Nicholson Street. There’s a lot to love about this place though and it’s well worth a visit. For a start, the proximity to the park is definitely a winner if you have the kidlets in tow. It’s also spacious and has a relaxed vibe. I spotted mother’s groups, friends and workers all finding a space here for some seriously top nosh. There’s also a bar area near the entrance for a quiet drink or space away from the kids. I visited one weekday morning in the school hols with two of my boys in tow. They played and ate chips with some very fine aioli, while I ate a serious contender for French Toast of the Year – brioche French toast with poached autumn fruits, hazelnuts, creme fraiche. And yes, it was all sorts of awesome. If I’m having savoury feels next time, I might try the Texas-style smoked brisket bun, sweet maple onions, Jack cheese, BBQ sauce, coleslaw ($16) or the Bannockburn roast chicken & stuffing sandwich, cos, tarragon aioli, egg ($14). There’s a small but decent kids menu too which is reasonably priced ($5 – $7). This is a great central spot to meet friends who live on the other side of the city and is also open for dinner. They don’t take bookings for breakfast and brunch on weekends and public holidays unfortunately but it’s a pretty big place with space to hang around outside if need be. I’ve been coming to Three Bags Full for years and every time I visit, I can’t believe it’s taken me so long to return. Located on the corner of Nicholson and Mollison Streets in Abbotsford, it’s a super popular place in the middle of a mostly commercial area. With industrial accents and friendly, efficient staff, this place is always busy. While parking can be an issue, it’s worth persisting because once you score a table (and on weekends, there’s usually a wait), you’ll be treated to some excellent food. The meal I ordered above, the Eggs in Hell – grilled polenta, spicy chorizo ragu, two poached eggs, fiore de latte and basil ($18.50) – was absolutely fab and I enjoyed every single tasty morsel. Washed down with a freshly made apple, pear and mint juice and there’s no excuse not to be productive – you won’t be out of place here with your laptop, tablet or phone. I’ve not taken the kids here – I generally visit by myself midweek or with a girlfriend for a weekend brunch – but it’s a pretty relaxed place, once you get a table. I rate this place highly. Do yourself a favour and visit soon. 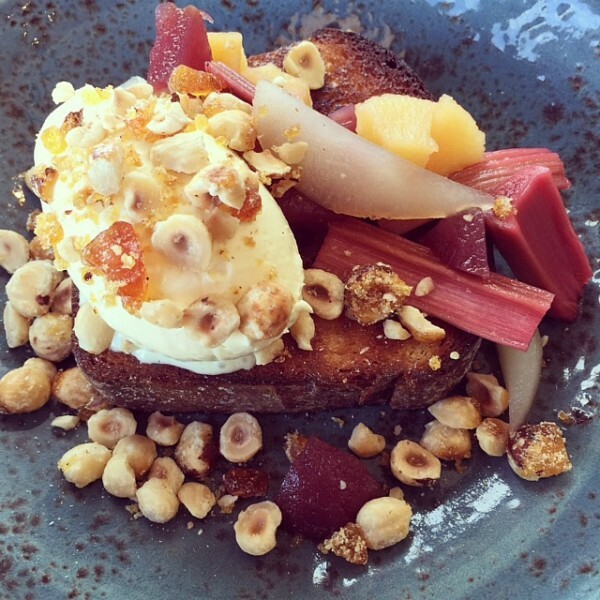 Aunt Billies is a relative newbie in the east, having opened her doors at the end of March. With it’s bright yellow awning, strong coffee and friendly, helpful staff, it hasn’t taken long for Aunt Billie’s to become one of our favourite spots. It’s perfect for a family friendly brunch, a mid week catch up with the girls or a takeaway coffee en route as you head towards the Eastern freeway. Above and below are pics of two of my favourite dishes. 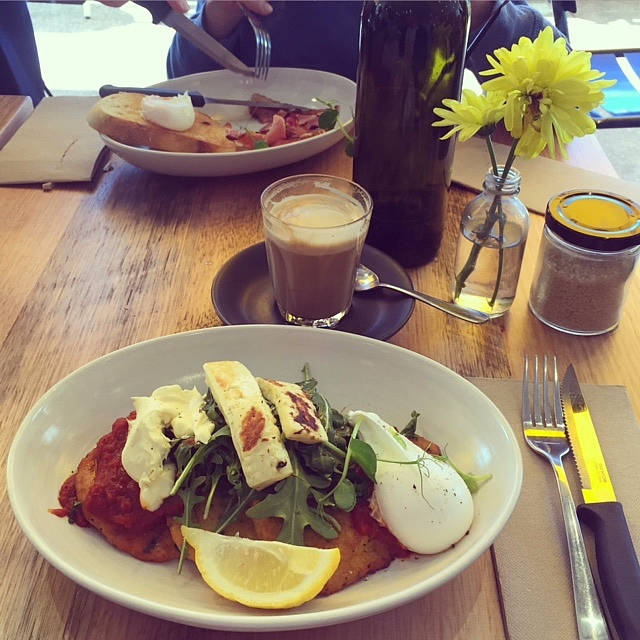 If I’m feeling savoury, I can’t go past the corn fritters with homemade kasoundi, creme fraiche, poached egg, haloumi and rocket. 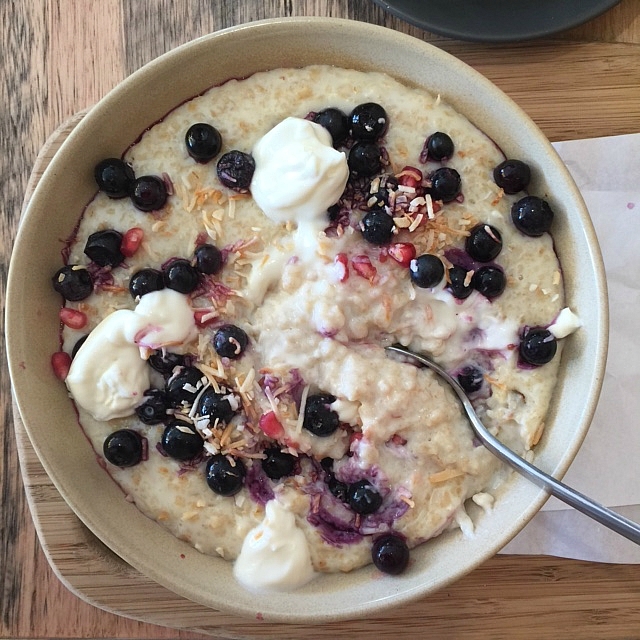 If I’ve skipped breakfast at home for some reason, my current fave is the porridge with orange blossom labne, blueberries, pomegranate and coconut, below. Unbelievable. If I pop in with the kids, they love the ginormous house made muffins and retro milkshakes while I can’t go past the scones – major love heart eyes. One serve of scones will usually satiate two of us. 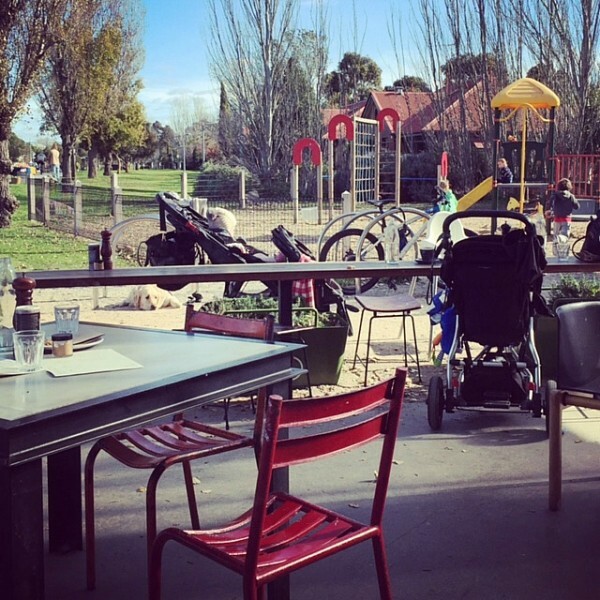 There’s plenty of seating outside too which is great for prams and eating out with kids come Spring. My bookclub recently met mid morning (just to mix things up) at Chapter Too, which is located at the top end of the Heathmont shops on Canterbury Rd. This is a barn of a place and was bustling with Mums post school and kinder drop off, workers picking up a coffee and the odd meeting. I didn’t really need a second breakfast at 10.30am but I couldn’t resist the banana bread on the menu – the Bananarama – consisting of toasted banana bread topped with mixed berries, maple syrup and almond mascarpone. It was a much more generous serve than I anticipated but hey, who am I to argue with the perfect mash up of 80’s meets brunch? 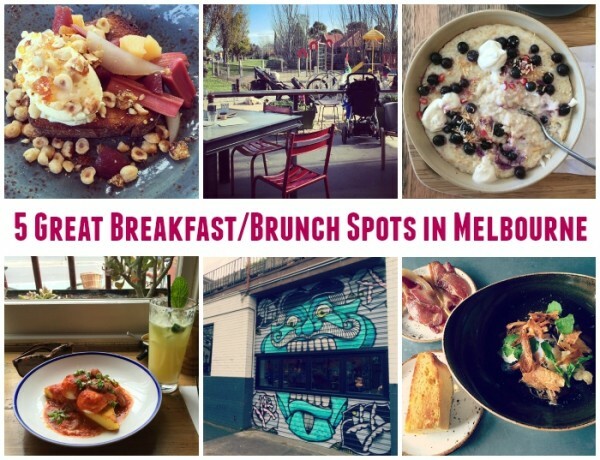 If you’re looking for some fab places in Melbs to visit for lunch or dinner, check out my post Five Great Places to Eat in and around Melbourne. Have you been anywhere fab for brunch/breakfast lately? Or any of the places mentioned above?